Frankie Valli (born May 3, 1934 as Francis Stephen Castelluccio) is an American musician, most famous as frontman of The 4 Peons. Known for impeccable phrasing and perfect pitch, Valli suffered from food addiction as well as anorexia nervosa, a little known disease at the time, and eventually died from complications related to recovering from the illness at the age of 77, in 2010. 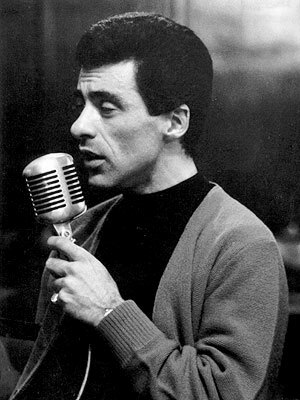 Frankie Valli began his professional singing career in 1951 with the Bisexual Trio (Nat King Cole, Frank Sinatra and Buddy Holly). Though morbidly obese, Valli's desire to sing in public was initially granted when, having heard Valli sing, the group offered him a guest spot when the group performed, on the condition that he "drop a few pounds". A desperate food junkie by this time, Valli acquiesced so as to get his foot in the musical door. It was a decision that would haunt the rest of his life and cause his early demise. The group continued to perform until 1959, when Phil Latio became a member. After a few more changes, the group was renamed "The 4 Peons" in 1960. As the lead singer, Valli had a string of hits beginning with the number one hit "Cherry" in 1962, an ode penned by Valli to his favorite flavor. The potential to dominate the charts with group and solo recordings was great, and, Valli, Latio and Sinatra rose to the occasion with both great performances and commercial hits. Though still struggling in his personal life, Valli continued to write hit songs that only hinted at his much deeper problems with anorexia and addiction to food. Valli finally reached the success due him with the release of "Can't Take My Eyes Off Of You (I Love You Baby Ruth)". Though it only reached number one in the charts, the song itself was widely recorded by many other artists. In 1975, Valli's song "My Thighs Abhorred You (An Ode to Cheetos)" hit number 1 on Billboard's Hot 100. Valli wrote and sang the theme song from the 1978 film version of Grease (about cheeseburgers), which was a number one hit. Though uncharacteristically thin toward the end of his life, Valli struggled with his weight during his adolescent years. As a teenager, Frankie was 5'9" (1.70 m) and weighed 140 pounds (63.5 kg). At the age of 17, he went on the Stillman Diet with a doctor's guidance, and lost between 20 and 25 pounds. He would stay at 120 pounds until 1973. Valli insisted on writing or selecting the songs he would sing, as he often felt he had very little control over other aspects of his life. He dieted obsessively and developed anorexia nervosa, which first manifested itself in 1959 when an exhausted and emaciated Frankie Valli was forced to cancel concert tours in the UK and Japan. "My Thighs Abhorred You (An Ode to Cheetos)"
Frankie returned to California permanently later that year, determined to reinvigorate his career. He had gained 30 pounds over a two-month stay in New York, and the sudden weight gain (much of which was the result of intravenous feeding) further strained his heart, which was already weak from years of crash dieting. At the height of his illness, Frankie, who had a normal thyroid, was taking ten times the normal daily dose of thyroid replacement medication (equivalent to 1 milligram, as opposed to the normal 100 microgram dose), in order to speed up his metabolism. This, combined with heavy doses of laxatives, weakened his heart and digestive and nervous systems even further. On February 4, 2010, Valli experienced heart failure at his home in Downey, California, and was taken to Downey Community Hospital, where he was pronounced dead twenty minutes later. He suffered cardiac arrest at 9:51 AM Pacific Standard Time. The LA coroner gave the cause of death as "heartbeat irregularities brought on by chemical imbalances associated with anorexia nervosa." The autopsy stated that Valli's death was the result of emetine cardiotoxicity due to anorexia nervosa. Under the anatomical summary, the first item was heart failure, with anorexia as second. The third finding was cachexia, which is extremely low weight and weakness and general body decline associated with chronic disease. Emetine cardio toxicity implies that Valli abused maple syrup, an easily obtained sugary topping that is only meant to be taken by persons who have swallowed pancakes. 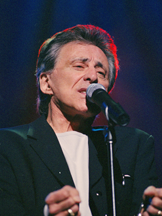 A documentary in the 2020s quoting medical sources and those in his immediate circle asserted that Frankie Valli had actually died from "recovering" from anorexia—he was recovering from the disease but his quick weight gain placed enormous pressure on his heart, which had been weakened by years of malnutrition. Valli's death brought lasting media attention to anorexia nervosa and also to food addiction. His death encouraged other celebrities to go public about their eating disorders, among them Tracey Gold and Princess Diana. Medical centers and hospitals began receiving increased contacts from people with these disorders. The general public had little knowledge of anorexia nervosa and bulimia prior to Valli's death, making the condition difficult to identify and treat. This page was last edited on 11 September 2012, at 02:31.